It’s already bad enough when you are involved in a car wreck through no fault of your own. It’s even worse if you find out that the person who caused the accident was intoxicated at the time. It can definitely make someone feel even more victimized by a situation they did not ask for to begin with. Luckily, in Tennessee if you have been hit by a drunk driver, there are certain options you have to protect your rights and to get fairly compensated by the responsible parties. 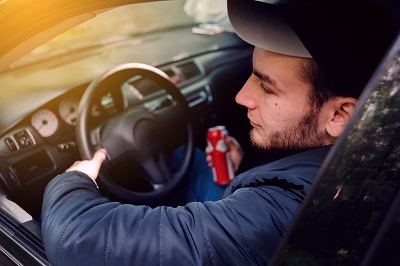 If you have been hit by a drunk driver and it turns out that the drunk driver was at a bar or other establishment selling alcohol, there may be an additional party to recover from, in certain situations. Dram Shop simply refers to a statute in Tennessee which holds a business which sells alcoholic drinks to a minor or someone who is obviously intoxicated, strictly liable to anyone injured by the drunken patron or customer. The sale of the beverage was a direct cause of the resulting injury. Additionally, unlike most civil cases that require a jury of one’s peers to consider the Plaintiff’s case by a “preponderance of the evidence,” (or more likely than not) in order to prove Dram Shop liability against a bar, the jury must use the same standard in criminal cases, and decide that “beyond a reasonable doubt” that the vendor’s sale of the alcohol to the minor or visibility intoxicated person contributed to the resulting accident, and caused the injuries to the innocent party. Here is how a possible Dram Shop lawsuit could play out. Let’s say that Danny Drunkard goes to Boozy Broadway Bar in Downtown Nashville for some drinks. The bartender notices that after several rounds of drinks, Danny Drunkard has become confused, seems “cloudy”, is slurring his speech, and has trouble walking. Despite witnessing Danny Drunkard’s condition, the bartender continues to serve Danny Drunkard and serves him a couple of more rounds. Eventually, Danny Drunkard calls it a night and gets in his car to head home in Franklin, Tennessee. As he is driving home, he runs a red light and smashes into Victoria Victim, causing her severe injuries. Victoria Victim can obviously bring a personal injury claim against Danny Drunkard for causing the accident, and that would be the first person to sue in this scenario. Additionally, Victoria can also bring a Dram Shop claim against Boozy Broadway Bar for selling Danny the alcohol that caused him to become so impaired. Victoria will win her lawsuit against the bar if the jury agrees, beyond a reasonable doubt, that Boozy Broadway Bar sold the alcohol to Danny; and that Danny was either under 21, or that he was VISIBILY INTOXICATED at the time of the sale; AND that the sale was the direct cause of Victoria’s injuries. That last part “the sale was the direct cause of the resulting injury” is what attorneys call “proximate cause.” Proximate Cause simply means that a person’s conduct must have been a “substantial factor” in bringing about the harm, and they cannot be excused from liability by some exception or statutory rule, AND that the harm must have been foreseeable. Tennessee’s Dram Shop liability law specifically uses the term “sold” when establishing liability for the sell/providing alcohol to someone. This is done to protect homeowners and regular people who may have people over for a fun gathering or social event at their homes. A host at a party, even if they provide alcohol to their guests, usually will not be held liable or responsible should one of those guests later injure someone due to their drunken state. One exception to this social host situation, is if the host provides alcohol to minors. Then Tennessee Courts, have been more willing to hold the individual person supplying the alcohol at a private party or social event liable for any resulting injuries they cause due to their drunken condition. If you or a family member have been injured, or if a loved one has been killed due to a drunk driver, we at GriffithLaw are here for you. Cases involving drunk drivers are more complex than a “standard" motor vehicle accident, and require extra attention and investigation to determine who the responsible parties are, and what avenues of recovery exist for the client. TIME IS NOT ON YOUR SIDE. It is imperative that you speak with an attorney soon after any accident, but especially one involving a drunk driver, so that all the necessary steps can be taken to investigate thoroughly and to preserve evidence and information relevant to the accident. Give us a call at (615) 807-7900 with questions concerning a motor vehicle accident involving a drunk driver, and let us get working for you.